TOKYO (Reuters) -- Japanese chipmaker Renesas Electronics Corp.,the supplier that suffered major disruptions following last year's earthquake and tsunami, plans to cut 6,000 jobs and raise 50 billion yen ($630 million) in new capital, local media reported. Renesas, a product of successive mergers of the chip units of Mitsubishi Electric, Hitachi Ltd. and NEC Corp., is the world's biggest supplier of microcontroller chips used in automobiles, but has struggled in the face of global oversupply and new competitors. The 6,000 job cuts would amount to about 15 percent of the company's workforce. Japanese chipmakers have also been hit hard by natural disasters in Japan and Thailand and a strong yen. Elpida Memory, the country's sole maker of dynamic random-access memory chips, has filed for bankruptcy protection. A source familiar with the matter told Reuters that Renesas was considering a range of plans, including a capital raising, but said the talks were still in preliminary stages. Renesas shares jumped as much as 11 percent on the jobs-cut report in the Yomiuri Shimbun. Renesas declined to comment on the Yomiuri report. Japanese suppliers held a 27 percent supply of global semiconductor revenue in 2003, but decreasing prices and strong competition from South Korea has seen that fall to 19 percent by 2011, according to research firm IHS iSuppli. Renesas was also hard hit by last year's earthquake and tsunami in Japan, which forced it to shut eight factories and encouraged domestic automakers to diversify supply. With the Japanese chip industry in a state of flux, sources with knowledge of the matter told Reuters earlier in the year that Renesas, Fujitsu Ltd. and Panasonic have been in talks on combining their system chip operations with the financial backing of government-backed investment fund Innovation Network Corp. The Yomiuri report said Renesas would likely try to raise capital from its three main shareholders, who together account for about 90 percent of the stock. "We will consider offering support, including capital raise, if we were asked by the company, but we haven't been asked yet," a Mitsubishi Electric spokesman said, echoing comments from the company's president on Monday. However, a spokesman for NEC, which logged a net loss of 110 billion yen in the year just ended, said the company now held only 3 percent of Renesas directly and did not plan to offer support. 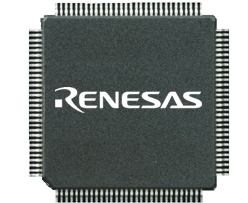 "We will not comment on whether we have been asked for support from Renesas. But even if we have been asked, we have no plan to offer support because we only have a 3 percent shareholding ratio," the spokesman said. NEC earlier this month shifted more of its stake in Renesas into its employee pension trust. The pension fund holds 32.4 percent of Renesas, while NEC has 3.0 percent. A spokesman for Hitachi, which held 30.6 percent of Renesas as of March, said the company had not been asked for support, but noted that Hitachi did not have a semiconductor business. "We can say that our management resources will be allocated to such core businesses as the social infrastructure business," he said. Renesas, whose chips are used in Toyota Motor Corp.'s Lexus luxury cars and Nintendo Co.'s Wii game console, posted a worse-than-expected 62.6 billion yen net loss in the just-ended financial year. The reported job cuts follow an announcement by Sony Corp in April that it would cut 10,000 jobs, or 6 percent of its global workforce, and take a 75 billion yen restructuring charge. NEC said in January it would also cut 10,000 jobs, about one in 10 of it workers. Sony has said some 5,000 workers would be taken off the payroll with the sale of its chemical and device unit and small liquid crystal display fabricator. NEC has not provided details about whether the workers would be sacked to meet the job cut targets, or whether some would be reallocated to other parts of the business.